Medicated eye drops can be an effective solution for dealing with dry eyes. 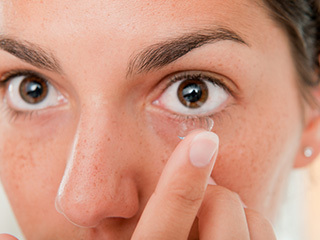 They will lubricate eyes enough to make contact lenses more bearable, although a punctual occlusion also must be done to plug the ducts in some extreme cases. GPC symptoms can also be lessened through medicated eye drops. They flush out protein deposits and reduce inflammation. Call Total Eyecare in Elko, NV today at (775) 738-8491.